The world installed a record 98 gigawatts of new solar capacity in 2017, far more than the net additions of any other technology – renewable, fossil fuel or nuclear – according to new data. The ‘Global Trends in Renewable Energy Investment 2018’ report was released on Thursday (5 April) by UN Environment, the Frankfurt School – UNEP Collaborating Centre, and Bloomberg New Energy Finance. At $160.8 billion, solar power attracted far more investment than any other technology. China saw “an unprecedented boom” in solar that saw some 53 gigawatts added – more than half the global total – with $86.5 billion invested. 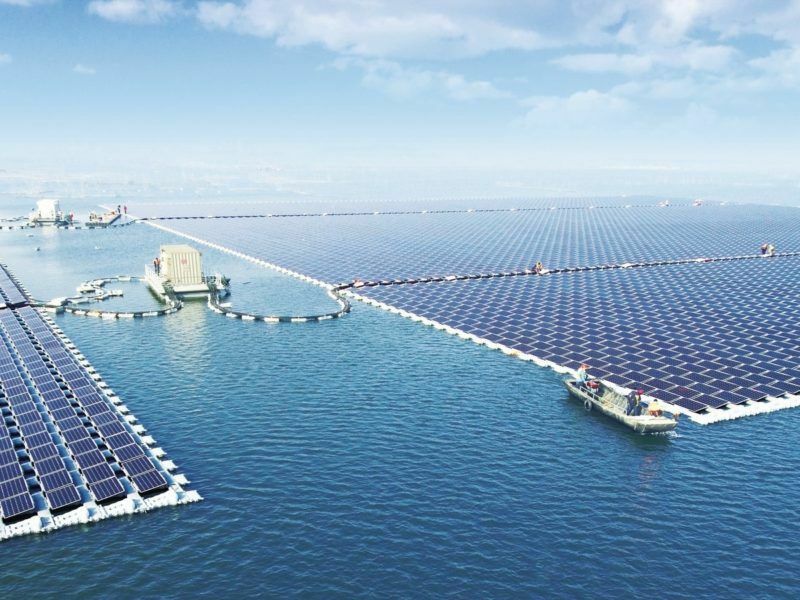 ‘’China’s clean energy push is impressive and good news for the planet,” said trade association SolarPower Europe, citing “a near 80% reduction in cost” as one of the main factors, alongside favourable regulatory frameworks. Overall, renewable energies were far ahead, at $279.8 billion, towering above new investment in coal and gas generation capacity, which reached an estimated $103 billion. Last year was the eighth in a row in which global investment in renewables exceeded $200 billion, the report said. Since 2004, the world has invested $2.9 trillion in these green energy sources. But some regions like the United States and Europe have clearly fallen behind. In the US, investments dropped 6%, to $40.5 billion. In Europe, the fall was steeper, at 36%, to reach $40.9 billion. The biggest drops were recorded in the United Kingdom (down 65% to $7.6 billion) and Germany (down 35% to $10.4 billion). “In countries that saw lower investment, it generally reflected a mixture of changes in policy support, the timing of large project financings, such as in offshore wind, and lower capital costs per megawatt,” said Angus McCrone, Chief Editor of Bloomberg New Energy Finance and lead author of the report. 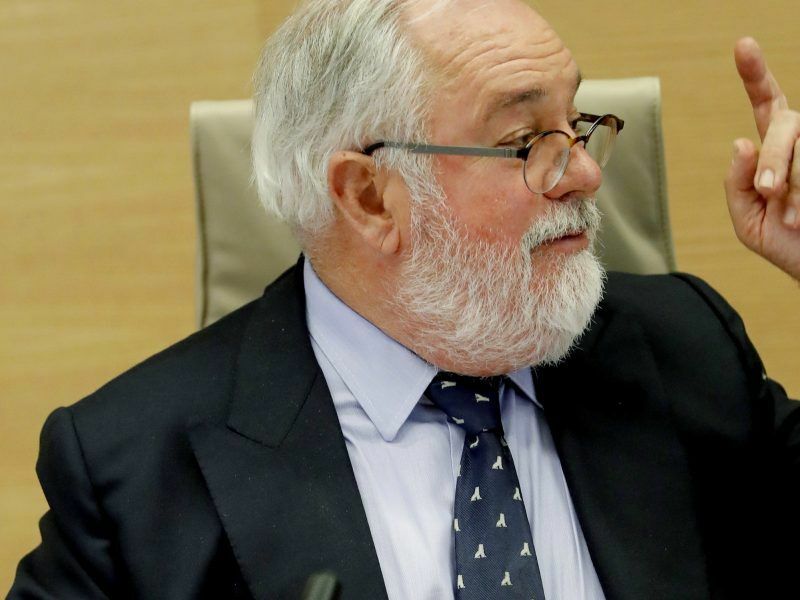 In Europe, green lawmakers have warned about a “lost decade” for renewables as policymakers negotiate an update to the EU’s renewable energy directive, which is considered as the cornerstone of the bloc’s clean energy policy. EU heads of states backed a 27% target for renewables as part of the bloc’s 2030 energy and climate objectives. 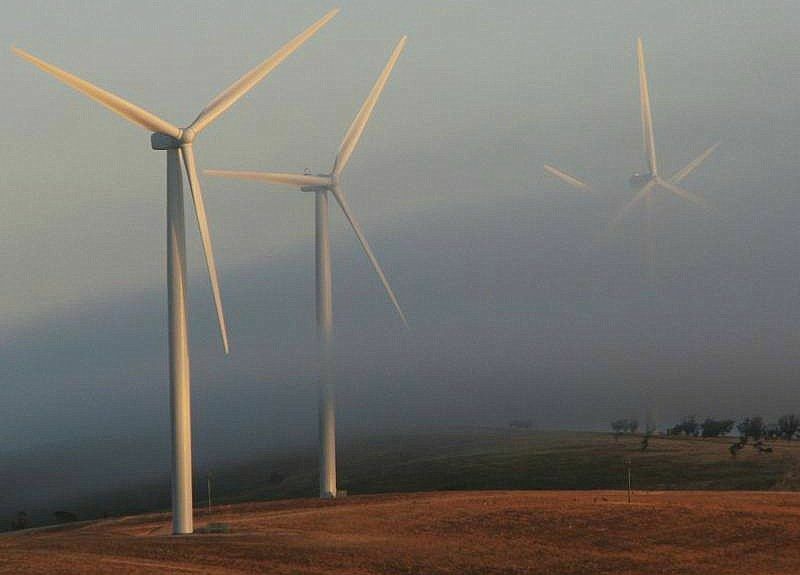 But critics say the decision, taken in 2014, is based on outdated figures that ignore the impressive fall in renewable energy costs that happened since. The European Commission, the EU’s executive branch, acknowledged these shortcomings and recently came up with updated figures suggesting a 30% target for 2030 would now be achievable at comparable costs. But even that would be close to business as usual, greens argue. WindEurope, a trade association, said “one key ingredient” to keep the European renewable industry competitive “is to raise the EU’s 2030 renewables target to 35%,” in line with the European Parliament’s demands. 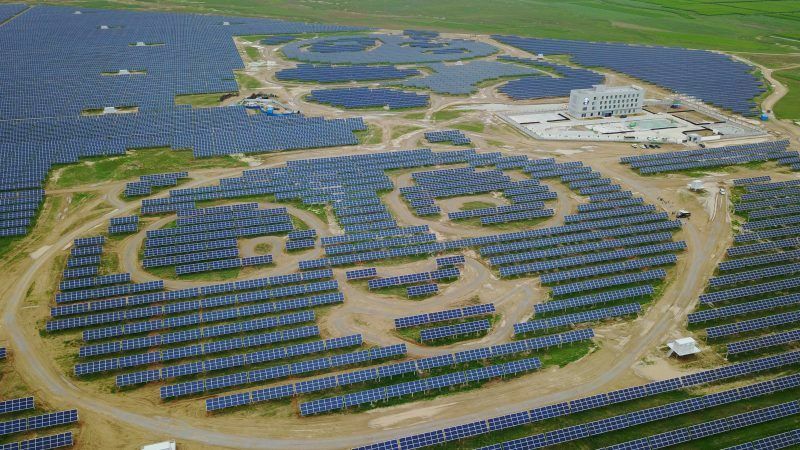 SolarPower Europe agreed, saying Beijing’s clean energy push “is also a wake-up call” for Europe to raise its 2030 target to 35%, and remove trade duties in place on solar panels imported from China. A final decision on the renewables directive is expected under the Bulgarian Presidency of the EU, which finishes on 30 June. The figures from BNEF are around $137bn in 2017 for China and $53bn or thereabouts for the EU. A reversal of what it was in 2011. All the talk about “targets” is just that – talk. If Canate et al think that a higher RES target will make a blind bit of difference then they are deluded. I have some respect for Canate – but he should focus his attention on what counts: money, investment, spondulicks. The only thing that matters in climate change & its handmaiden renewables is money – all the rest is noise. By money I’m talking Euro100billions PER YEAR – not the current lukewarm dribbling steam (hat tip – Saga of Eskimo Nell) that the Euros currently spend. So what is climate change – if not an emergency? Where’s the money? Answer: sitting waiting for a few key strokes in a computer – wooosh off it goes to the EIB and then as ultra low interest loans for renewables. Simple & easy, raising the question – why is it not being done? Answer: the EU institutions think that only private money coming from banksters can solve the problem – just like the banksters solved the problems of 2007 and 2008 …..oh hang on a sec …..they caused them. Hmm – the EU leading the climate change charge – but with no horses and no money – forward at a crawl.